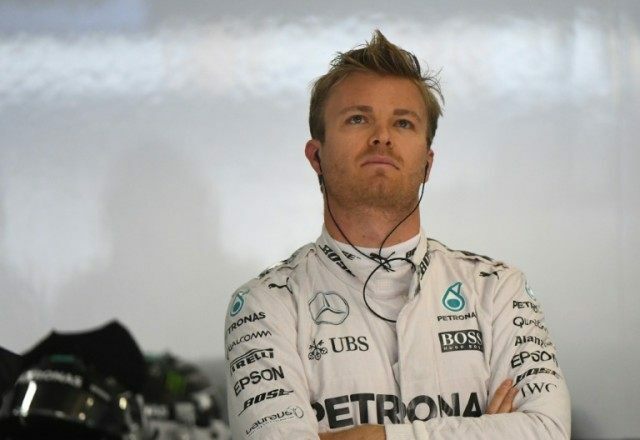 Shanghai (AFP) – Nico Rosberg blazed to pole position for Mercedes at the Chinese Grand Prix after holding off resurgent Ferrari in Saturday’s qualifying. The German, who won the season’s first two races, is joined on the front row for Sunday’s race by Red Bull’s Daniel Ricciardo after a late burst with Ferrari’s Kimi Raikkonen and Sebastian Vettel on the second row. World champion Lewis Hamilton will start at the back of the grid after suffering mechanical failure.